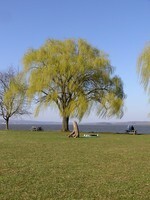 Budding Willow at the Waterfront. 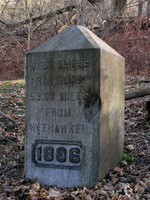 Forgotten Monument. Photo by Frank Ostrander. 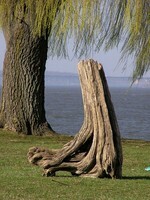 Sculpture by Hurricane Irene. Photo by Frank Ostrander. Frank Ostrander took these photos on Sunday at Cornwall Landing, where he took a walk on what he calls "an April day in March," meaning the weather was much warmer than normal. To see more of Frank's photos, visit http://themightyquinn.deviantart.com/gallery/#/d4tau3f where Frank posts his photos under the name Mighty Quinn.